Transform a dull black dress into a glamorous frock with a mohair shrug, make a gray winter jacket into a chic topcoat by adding a colorful Scandinavian scarf, or turn a simple summer dress into a versatile spring style with a sheer openwork cardigan. 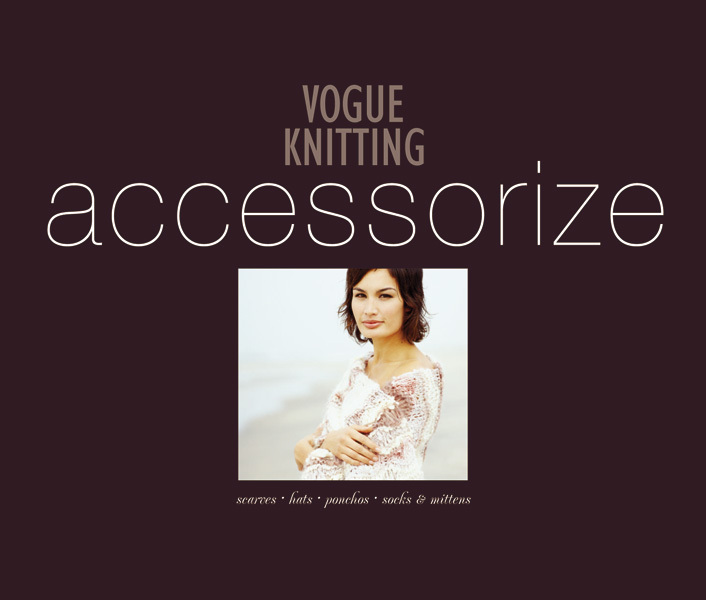 The first accessories book in the ever-popular Vogue Knitting book series, VK Accessorize features more than sixty fabulous designs for every season, occasion, and look. Whether your look is rugged casual, sophisticated professional or dramatic black-tie, this exquisite collection fits every kind of style. Complete with clear instructions, brilliant color photos and easy-to-follow charts, this collection makes it easy to bring together any outfit with a touch of cutting-edge originality.